If you don’t add stock or bouillon cubes you should definitely add ½ tsp salt and two tablespoons olive oil or butter to season & flavor the quinoa. The quinoa packages always advise rinsing and draining the quinoa before cooking it. 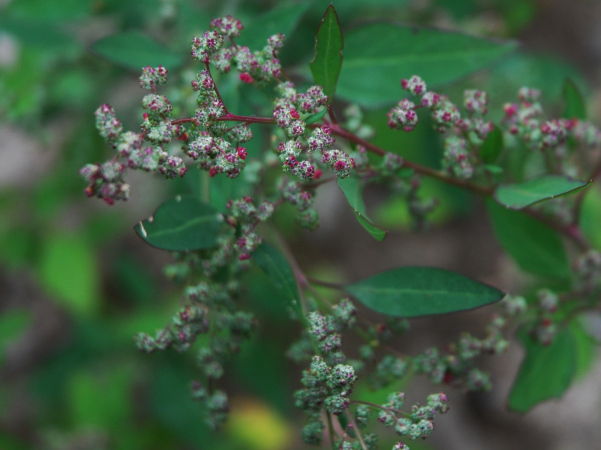 Quinoa seeds are coated with saponins (a bitter substance) but most packaged quinoa has probably already been washed well. I’ve never found it to be bitter when I skip rinsing it (90% of the time i do not rinse/drain the quinoa). Boil for one minute then cover and reduce heat to low/simmer for 15-20 minutes. It is now completely cooked and you can serve as is alongside anything as you would rice/pasta/cous cous/etc. To make the nuggets, take the cooked quinoa and add 1 egg, ¼-1/2 cup parmesean cheese, a good pinch of dried thyme (or 1 tsp of fresh), and some cracked black pepper. Mix all that up and then form into little nuggets. I use a 1 tbsp melon baller and then press the balls flat into nugget shapes). Place the shaped nuggets onto a lightly oiled baking sheet (or I always just use tin foil to make clean-up easier). If you don’t want to bake them you can cook the nuggets in a pan for several minutes on each side. 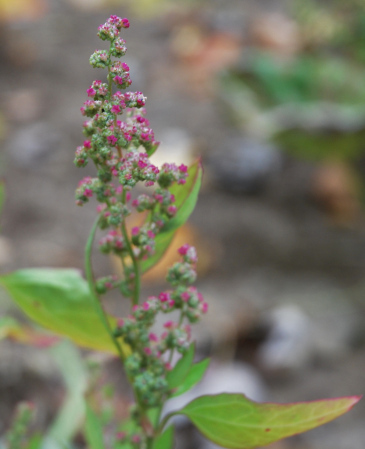 “Brightest Brilliant” Quinoa was grown in Spy Garden last year. The deer ate most of it. But that’s ok: It was mostly grown for fun/to try and see how it would do in our climate. Quinoa is a complete protein. It is a whole grain and gluten free. It is pronounced “keen-wah”. If these plants hadn’t kept getting gnawed on by deer these seed heads would be a lot bigger. This entry was posted in Cooking, Gardening, Kids on February 5, 2013 by Spy Garden. Just catching up on some of your posts :) This recipe sounds really good. 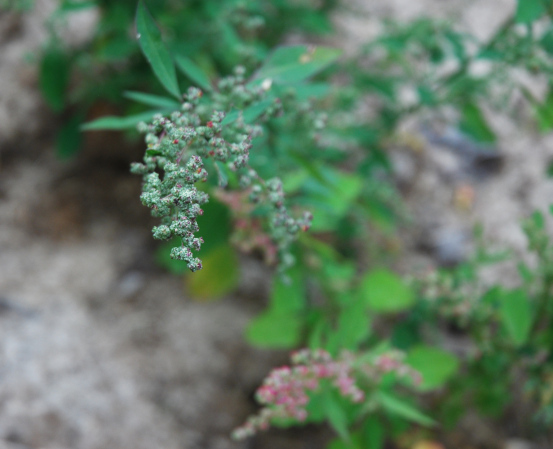 I’m going to try to grow quinoa in my garden this year, so hopefully I can eventually make it with homegrown quinoa!